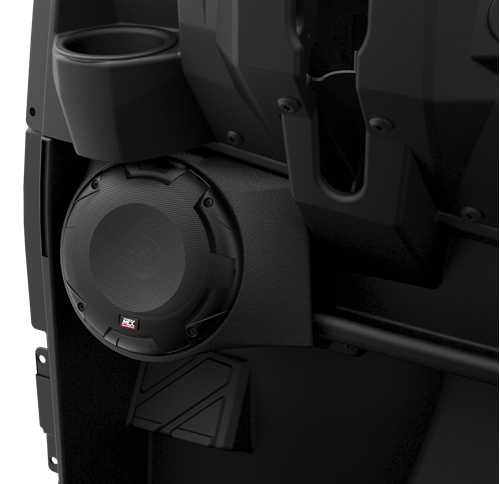 The RNGRPOD65 are the best solution for adding speakers to your Polaris RANGER. These all weather custom fit speaker pods mount to the vehicle's lower dash and are contoured to fit perfectly in the vehicle. Designed to deliver high output sound without sacrificing any leg room, these speaker pods are easy to install and are color/ texture matched for that OEM look. 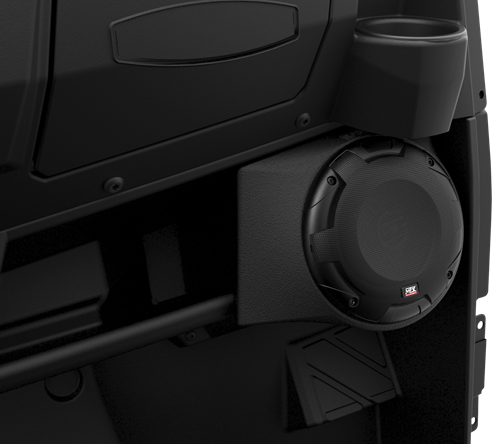 The MTX RNGRPOD65 is a pair of speaker pods that are designed to mount directly to the lower dash of specific Polaris RANGER models. 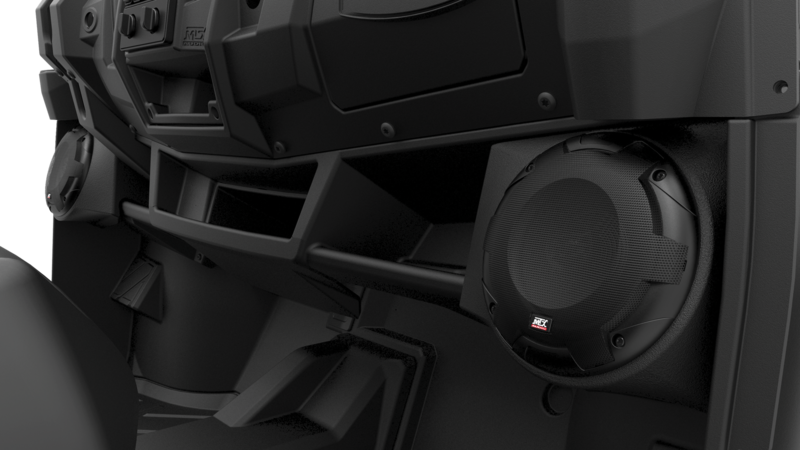 The pods are constructed using rotationally molded polypropylene which creates a finish that is weather resistant and durable. 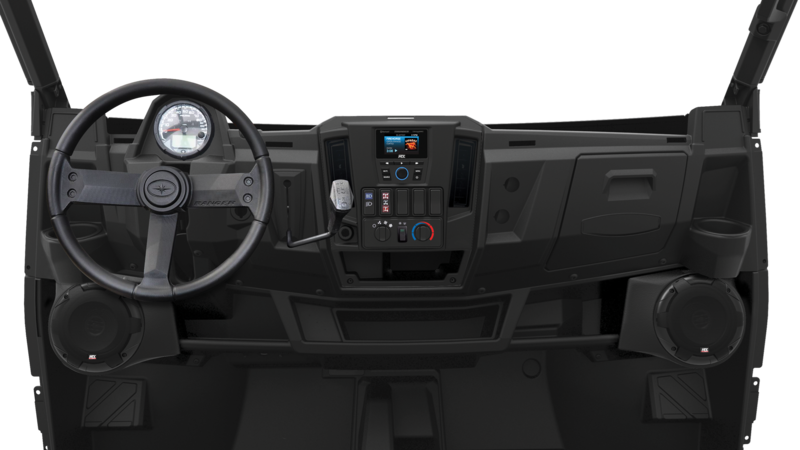 The pods mount in existing dash locations and do not require any cutting or drilling to install. Each pod includes a weather resistant 6.5" coaxial speaker featuring a polypropylene cone and clear Teteron tweeter that deliver exceptional full range clarity. 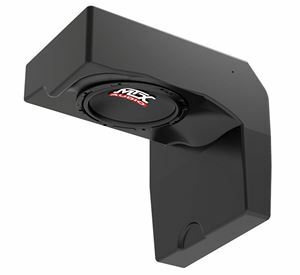 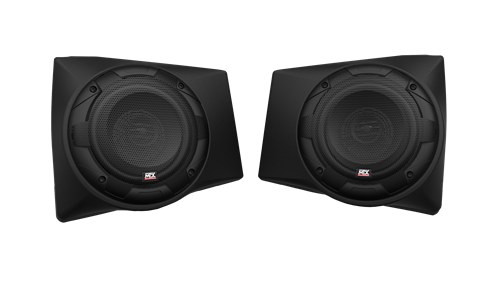 The mounting location is ideal for sound staging as the speakers mount directly in front of the driver and passenger ensuring music can be heard clearly even at high speeds.